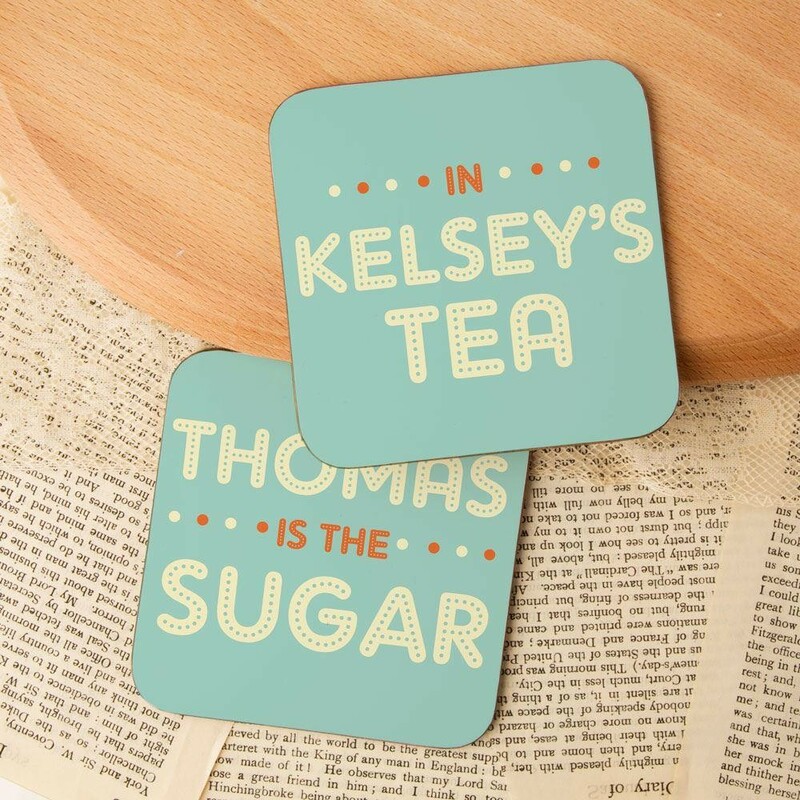 A cute, bespoke coaster set makes a brilliant gift idea for a loved up couple! 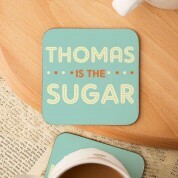 Spouses of any kind will love such a thoughtful gift on any occasion. 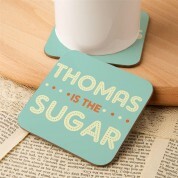 The retro inspired coasters features a typographic design that reads his name and “is the sugar in (her name)'s tea”. 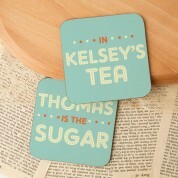 A duck egg blue background and polka dots complete the design.